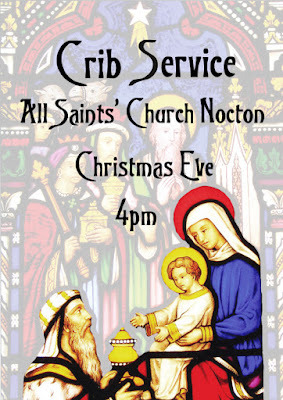 We will once again be singing carols round the village in aid of church funds and the Nomad Trust. Meet at the Cottage Care Home at 6 pm on Wednesday 13 December to sing carols with the residents, then on to Nocton Park. 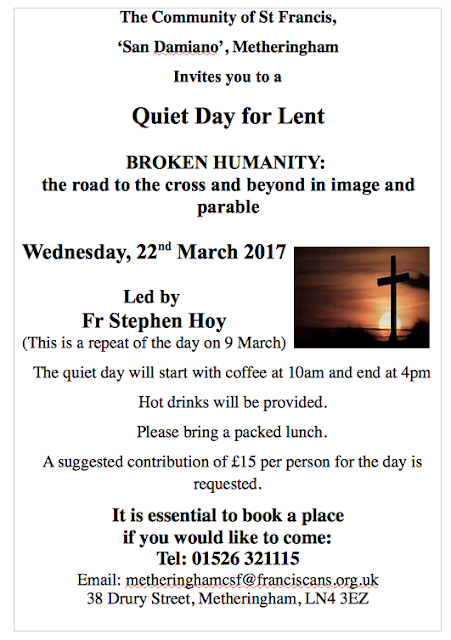 No, don't all lock your doors... Mulled wine and mince pies will be served afterwards – thanks to the Parish Council for supporting this. So far they have commemorated 8 of the Nocton residents (we will give more details of those 8 who have already been commemorated over the next few months). 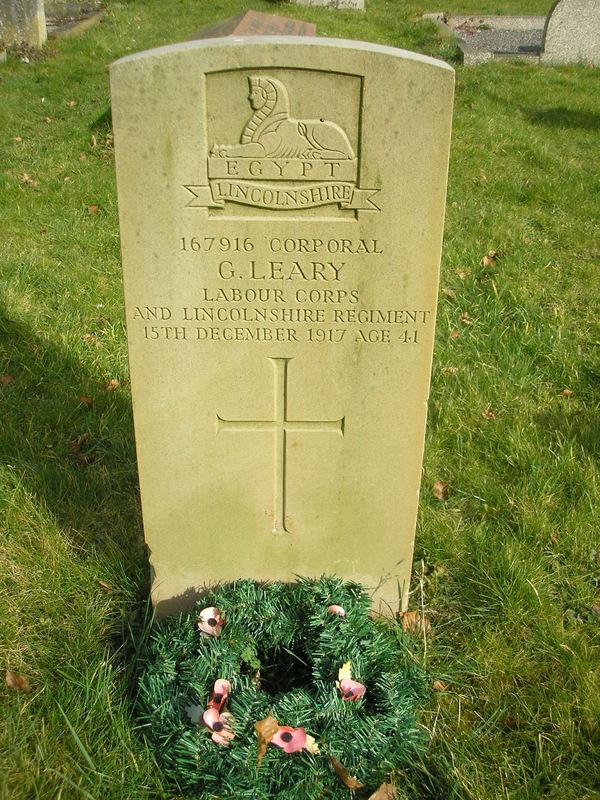 The next Nocton resident to be commemorated is Gunner LESLIE HALKES WRAY who served in “E” Battalion of the Tanks Corps and was killed in action on 20th November 1917 at Cambrai aged 19. He was driving ‘Ella,’ a 25 tonne Mark IV tank (which of course was designed, tested and built in Lincoln) whilst taking part in the largest and most significant tank battle of the First World War at Cambrai, when he was sadly killed in action. He was the son of William & Susan Wray who lived in Nocton. His father William was a farmer at Nocton’s Park Farm, known locally as “Farmer Wray’s Yard”. ‘Wray’s Yard’ still exists today at the top end of The Green, with the farm buildings converted into residential property’s. Leslie’s education took place in Lincoln at the Christ’s Hospital School before he enlisted. He was the ninth Nocton resident to be killed in the Great War. 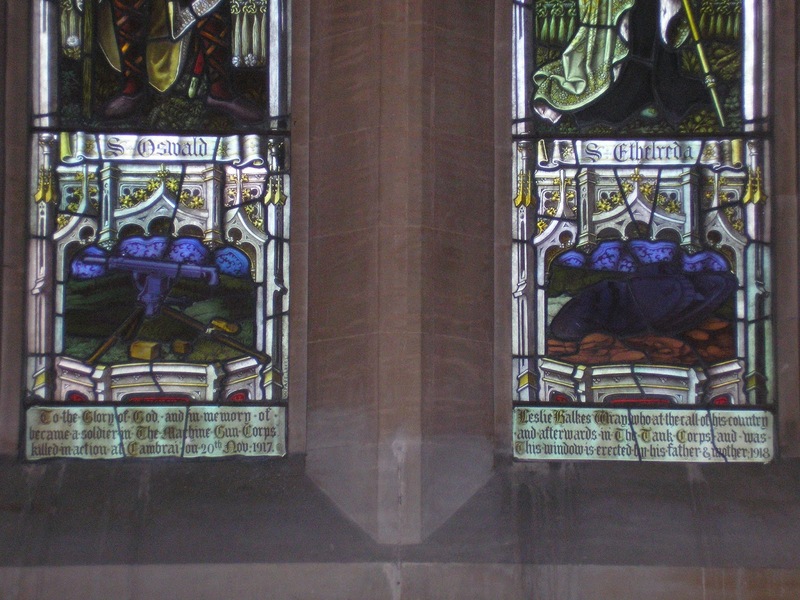 He is buried at Ribecourt Road Cemetery, Trescault in France and is also commemorated on the War Memorial on the back wall of the Church and in one of the north Windows in the nave, which was given by his parents in memory of him. 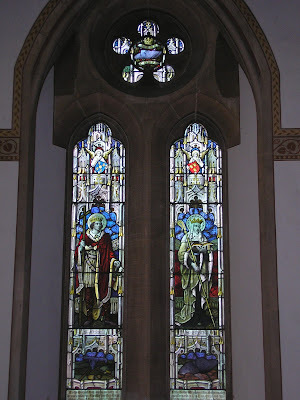 The stained glass depicts the Tank Corps logo along with a WW1 tank & a machine gun, unusual things to be depicted in Church stained glass. 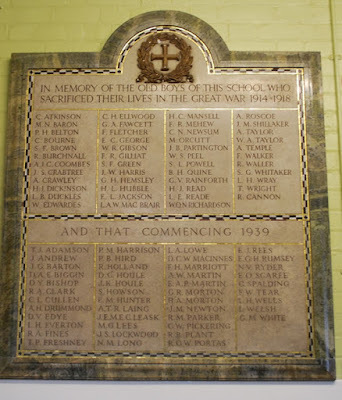 He is also commemorated on the Lincoln Christ’s Hospital School War Memorial for the ‘Old Boys’ who lost their lives and which is located at the school on Wragby Road in Lincoln. If you hear the bells ringing half muffled around 20th November please stop and pause for a moment and think about the sacrifice which was made 100 years ago by this brave young Nocton lad. Writing as a member of the crew on behalf of us all. We wish to express our deepest and heartfelt sympathy to you all and much regret to say that your son, Leslie, was killed in action on the Thursday morning the 20th. His death was instantaneous and very sudden. He suffered no pain. We are sorry to have lost such a faithful friend, as he was always so kind to us all, and ever ready to take his part during these very great tasks and hardships. He was well respected by all who knew him. We cannot speak too highly of his good nature and the way he kept his engine. We all had the greatest confidence in him. His officer also fell by his side and we much regret to say that we have lost two of the best friends of the crew. They were both taken by a party and buried close by where they fell on the same day. Having been his partner in the crew I have taken care of his private belongings, photos etc, and will forward some on if possible at the earliest convenience. 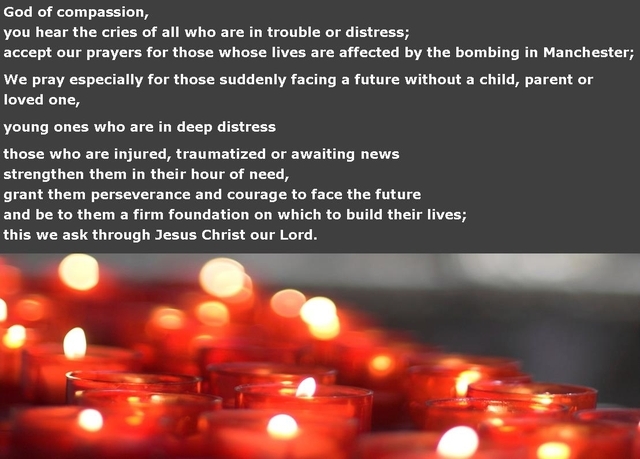 I will conclude with deepest and heartfelt sympathy to all. Showing bottom left a machine gun and bottom right a WW1 tank. 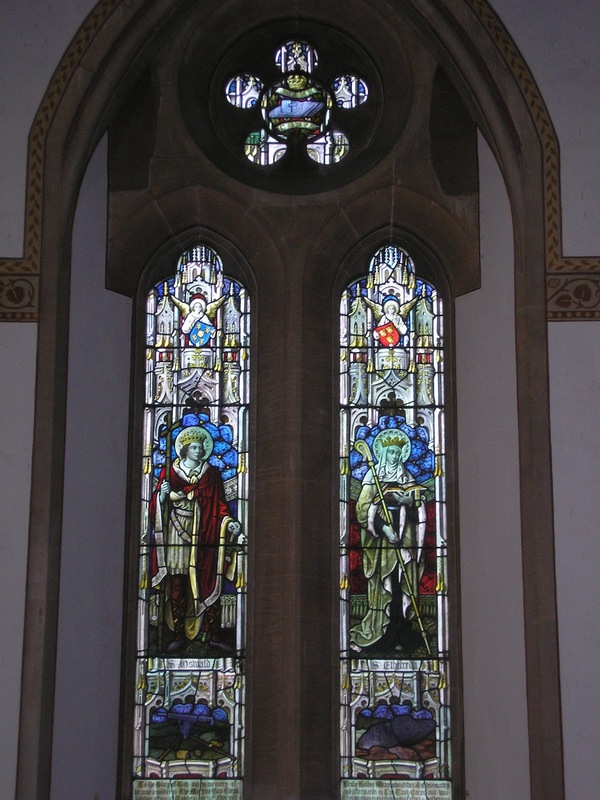 Leslie Halkes Wray Memorial Window in All Saints. Lincoln Christ’s Hospital School War Memorial. Thanks to all those who supported the Harvest Songs of Praise and the Harvest Supper – those who organised, prepared food or washed up, and those who came. You helped us raise a fantastic £590 towards a sound system for the church. Thank you!! This year we will be supporting those less fortunate than ourselves by donating to two causes. Lincoln Larder was one of the first food banks to open in Lincoln. Its purpose is simple: to provide basic food for people in crisis. The food they provide needs to be quick and easy to prepare – ordinary things like tinned fruit, rice pudding, tinned meats, UHT milk, breakfast cereals. People can’t just turn up at the door. Everyone needs a voucher, provided by a variety of local agencies (such as Age UK, the YMCA, Benefits Advice, Children’s Services or Health Visitors) who refer them to the Larder. They provide 3 days’ worth of food for each person included on the voucher. You’re invited to bring a donation of food for the Lincoln Larder to the Harvest Songs of Praise. Or if you can’t make it to the service, you could always leave your donation in church. The collection at the service will once again go to WaterAid. WaterAid has teams in 35 countries, changing millions of lives every year with clean water, decent toilets and good hygiene. We take these things for granted, but 1 in 3 people on the planet don't have a decent toilet. 1 in 10 don't have clean water. Almost 1 in 3 schools don't have clean water. Diarrhoea caused by dirty water and poor toilets kills a child under 5 every 2 minutes. The service will take the form of Songs of Praise for Harvest. Book your supper tickets now to avoid disappointment! 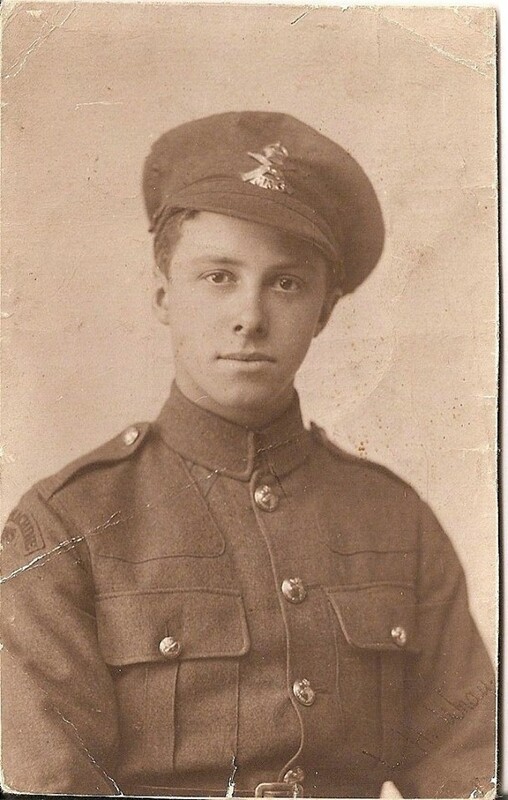 Kenneth was killed in action during WW1 aged 19. 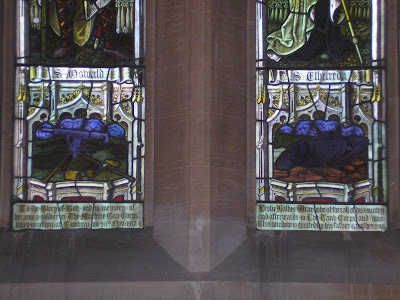 He was born in Nocton, son of George and Emma Dykes, and was one of the bell ringers at All Saints before he enlisted in the Lincolnshire Regiment. To mark the centenary of his death the local ringers are planning to ring a half muffled quarter peal (45 mins) on Sunday 30 July and on Monday 31 July a half muffled full peal lasting approx 3 hours will be attempted. What a lovely event it was last night. The guitar music was great, the church was beautifully decorated with flowers, the strawberries and Prosecco were delicious, and everyone enjoyed themselves. The event raised £534.50. Yvonne asked for just £50, but she made £100 on the sales of her CDs (and we made £20 on those sales, included in the figure above). Yvonne really enjoyed the evening, too! Some of you may be wondering what is happening about the project to restore the wall paintings in All Saints. We were poised to start this work last year when we were advised that it would be unwise to do this until some investigative work had been done. The wall is dry now, after several years of being allowed to dry out naturally, but there is still condensation in the area at times and, most importantly, salts continue to move throught the stone and affect the area. There is no point in restoring the paintings only to have them fail after a few years because of more damage. We have a plan for a way forward but it will appear that nothing much is happening for some time to come, although in fact we will be doing investigative work to understand where the salts are coming from, how they move through the area and whaat is required to protect the area from further damage. The more thorough the preparation, the better the final result. We acknowledge with gratitude that many people have donated over many years towards this and we wanted to assure the parishioners of Nocton, and those people from outside the parish who have also kindly donated, that we continue to work hard to sort this problem out. A reminder about our new venture, church4ALL, which starts next Sunday 2 July at 4 pm at Potterhanworth. It'll be on the first Sunday of every month after that. This message from Lorna is on the 'Message' page as well at the moment but I am posting it here too so as many people as possible see it. The majority of people nowadays would say that they're spiritual, but not 'religious'. People generally assume that I'm religious... but I think religious sounds like being rather fussy about rules. And for me being a signed-up Christian isn't about being religious in that sense, it's about relationships - our relationship with God and our relationships with each other. 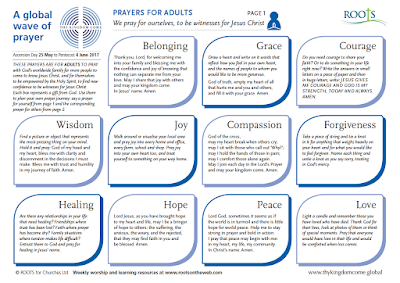 I imagine that most parents want their children to have a spiritual dimension to their life, want their spirits as well as their minds and bodies to grow strong and healthy; but it's not easy to know how to do that. Doing nothing and hoping for the best might not be enough. But church is meant to be a place where you can explore, ask questions and grow spiritually On the other hand, taking children to church can seem a bit daunting. Grown-ups worry that the children will be a nuisance. Children worry that they're going to be bored and everyone wonders whether they'll understand what's going on! Which is why we are starting a new service for Potterhanworth and Nocton. 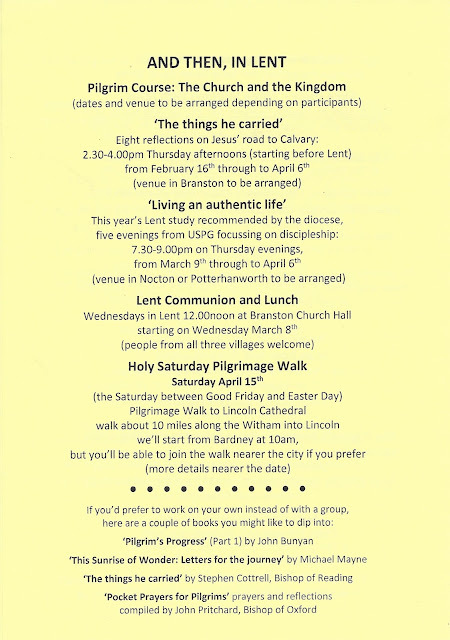 It's going to be at St Andrew's church because it has a few more facilities compared with Nocton church. We have a more flexible space - and a kitchen. It's going to be once a month to start with, on the first Sunday of each month. It's going to be at 4 pm, and it's going to be for everyone. Which is why we're calling it Church4ALL. It will be relaxed and informal - and fun! There'll be singing, things to make and do, something to eat and drink. It will be designed for children and young families, but also for anyone else who'd like to try a less formal approach to church. 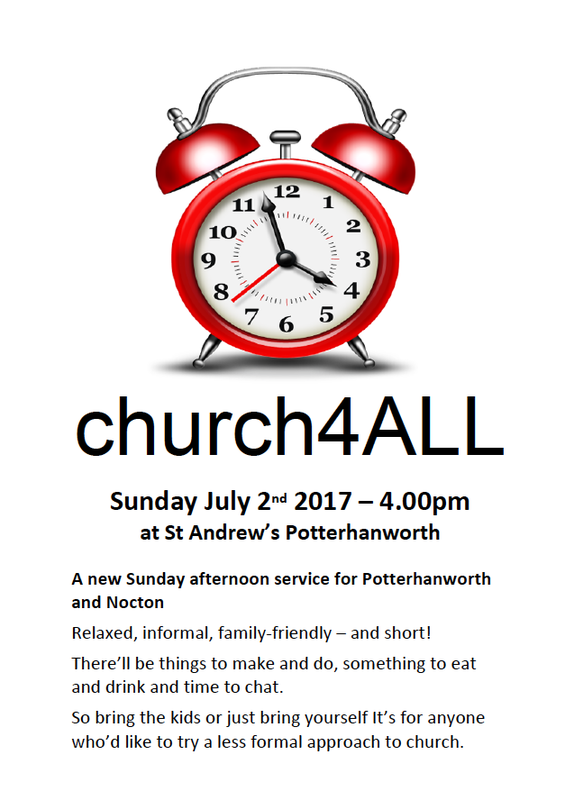 We'll be launching Church4ALL on Sunday 2 July. 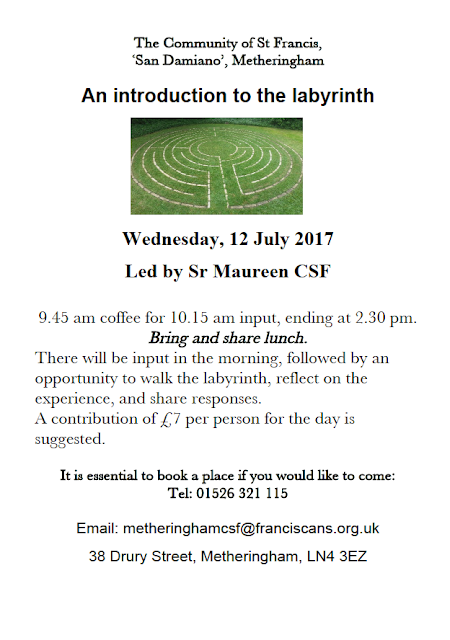 You'll all be welcome to come along and give it a go. If you play a musical instrument - guitar, flute, trumpet, drums, whatever - and would like to contribute to the music please do get in touch. We'd love to hear from you. 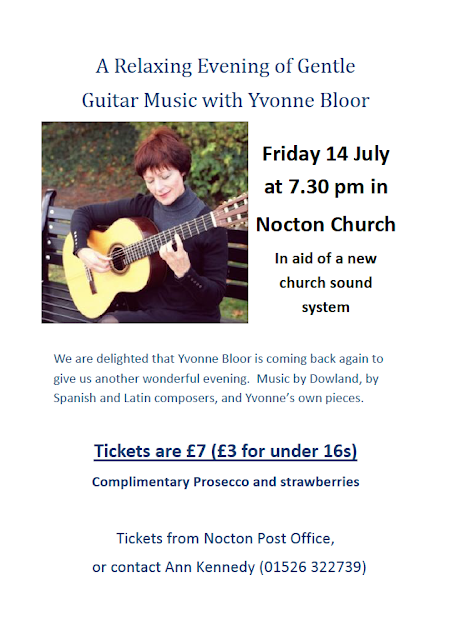 Those who have been to one of Yvonne's concerts before will know what lovely events they are. Spring clean - thank you! 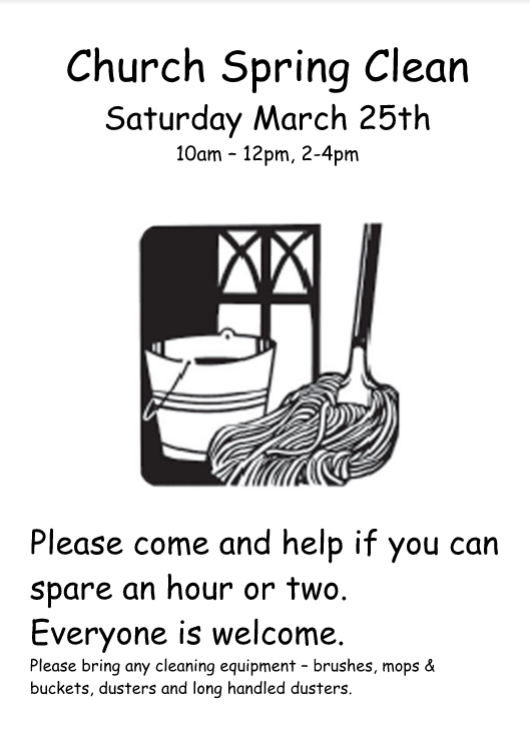 Thank you so much for coming to help with our annual spring clean. It is rewarding to notice that after several years of doing the spring clean church is noticeably cleaner & we are definitely winning with the high up cob webs. It makes the job of the monthly church cleaners so much easier. 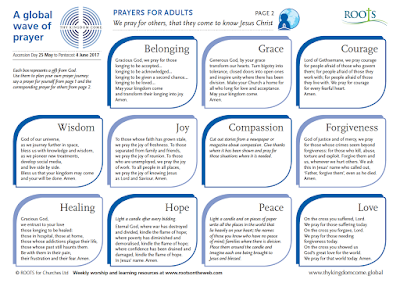 O God, the author of peace and lover of concord, to know you is eternal life and to serve you is perfect freedom: Defend us, your humble servants, in all assaults of our enemies; that we, surely trusting in your defence, may not fear the power of any adversaries; through the might of Jesus Christ our Lord. Amen. 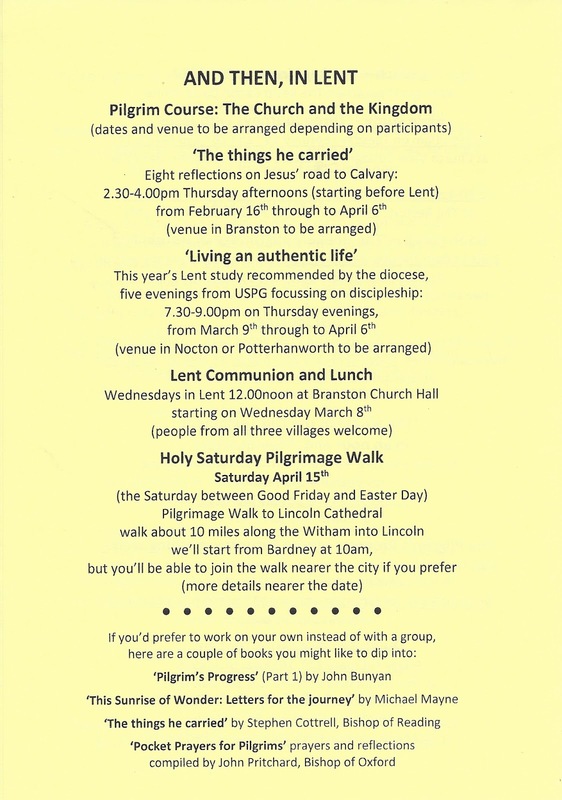 The Annual Parochial Church Meeting (at which the Parochial Church Council members and Deanery Synod Representative are elected), and the meeting for Election of Churchwardens, are being held on 18 April at 7.30 pm in All Saints' Church. The church Electoral Roll is being revised prior to the Annual Meeting. 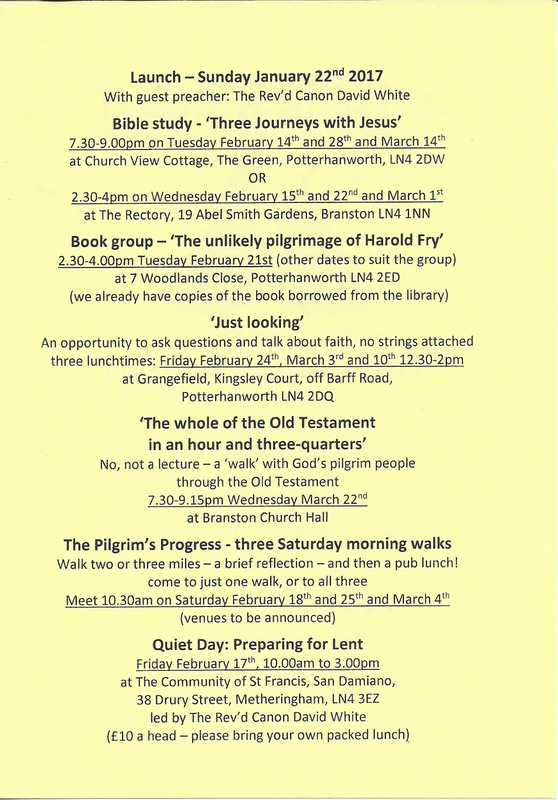 Those on the Electoral Roll are entitled to attend the Annual Meeting and to vote in the Church Council elections. 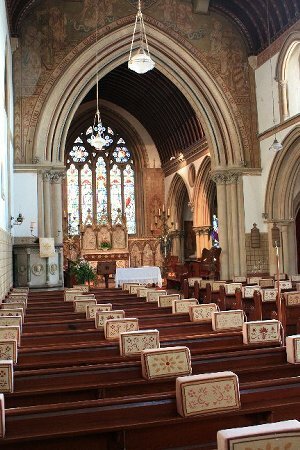 The meeting to elect the churchwardens may be attended by anyone on the local government Electoral Register as well as those on the church's Electoral Roll. Anyone who is not currently on the Electoral Roll and who wishes to be entered on the Roll, or anyone who is currently on it and wishes to be removed, should let me know not later than Monday 3 April. If you are currently on the Electoral Roll and are happy to remain on it, you need do nothing. Thanks to 'Mr Murderie's Players', to all who supported 'Signal Failure at Nocton & Dunston' on 25 February and of course those who worked so hard behind the scenes with the organising and catering. 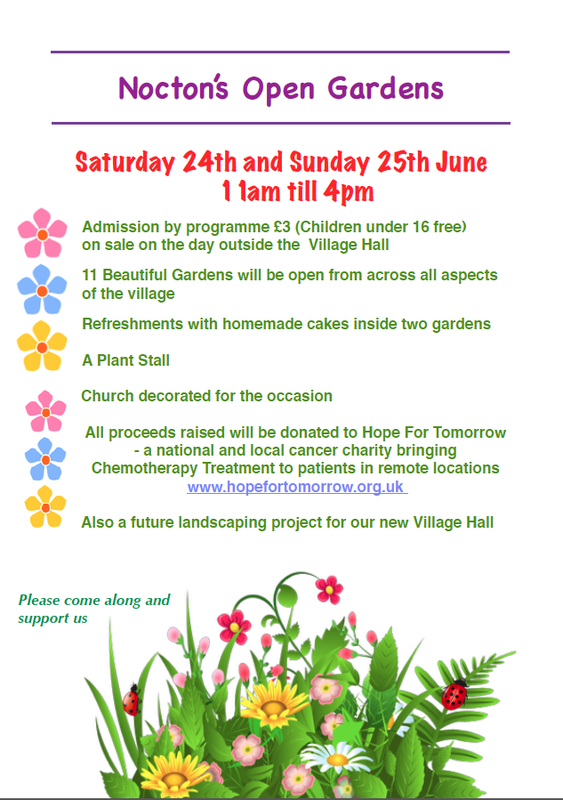 We raised £500 towards a sound system for the church and a further £137 for Hope for Tomorrow, the Players' chosen charity, which provides mobile chemotherapy units to the NHS. Talking of a sound system, our fundraising this year will be directed towards this. This will include an induction loop for hearing aid users as well as microphones and an amplification system. This will benefit the community more widely including, for example, the school, who will be able to make use of it for their events held in church. It will also help with concerts and other community events. And there will be no excuses for not knowing what the Rector's sermon was about! These quizzes are always very popular - buy tickets now to avoid disappointment! 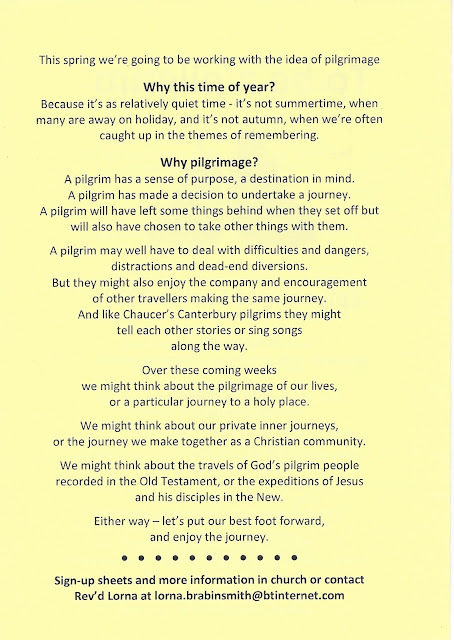 Over the next few months we will be exploring what it means to be a pilgrim on our Christian journey. 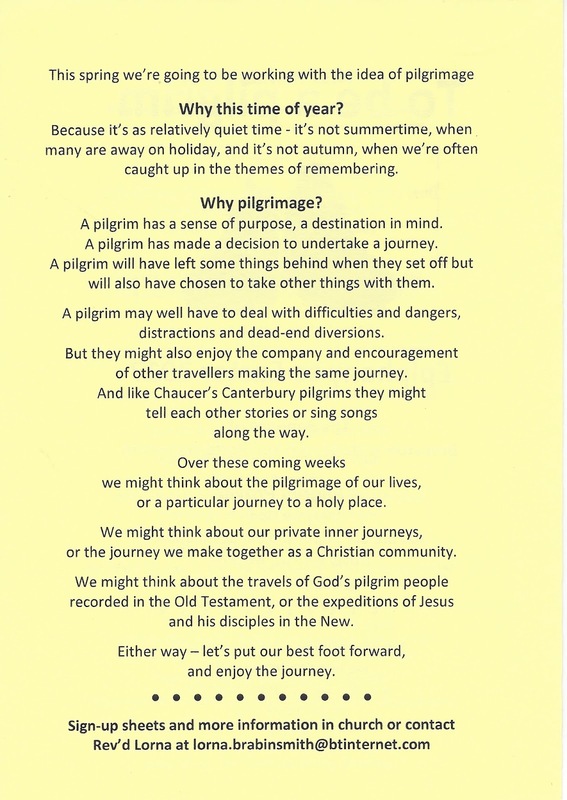 There will be different opportunities and formats - pilgrims come in different shapes and sizes! 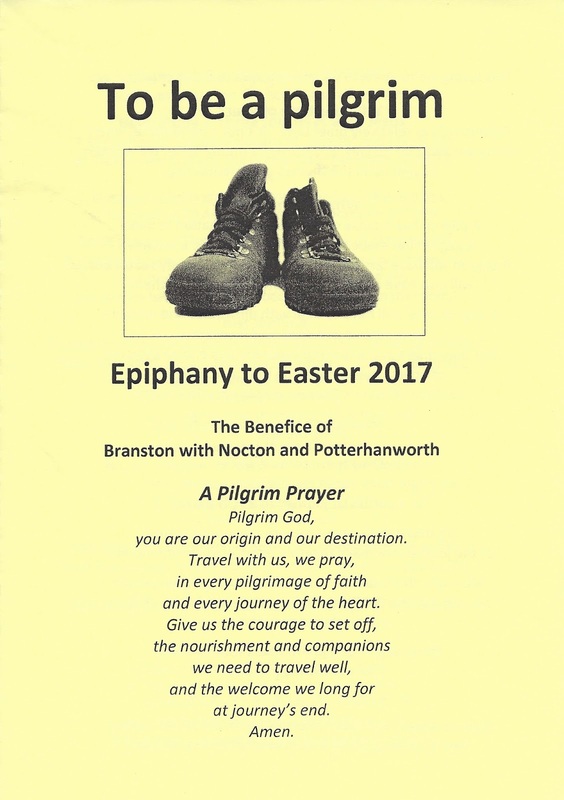 Rev Canon David White started us off on 22 January with his thought-provoking sermon on 'To be a pilgrim'. For those who missed it, please click on the link below. Candlemas falls on 2 February, but we are celebrating it on 29 January. There will be a United Benefice Eucharist at 10 am and a Songs of Praise in the evening - details below.